Everything leading up to UFC 162 and everything since has pointed to a rematch between Anderson Silva and Chris Weidman. UFC president Dana White, leading up to Saturday night’s fight in Las Vegas, promised that if Silva lost, which he did, that an immediate rematch would be in the offing. Weidman said the same thing and reiterated that sentiment immediately following the fight. 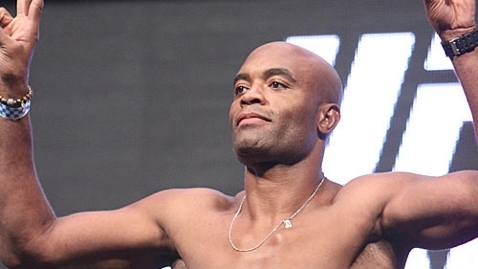 Silva initially hesitated about a rematch, saying that it was now Weidman’s time as champion. He backtracked on that statement at the post-fight press conference, saying he just needed some time to mull things over, which is understandable considering that he hadn’t lost in seven years and 17 fights. Getting knocked out and then immediately asked what his future held was most certainly a discombobulating experience. “He wants it. That’s right after his bell’s been rung, and I’m sure it was surreal for him,” Weidman said on Wednesday’s Jim Rome Show when asked about the possibility of a rematch. “He just lost for the first time in seven years, he got knocked out, and that’s something he has a lot of pride in is his stand-up and having a good chin. An MMAFighting.com report citing sources close to Silva seems to back Weidman’s assurance that there would be a rematch coming down the pike. The report stated that Silva had already determined he does want the rematch and he wants it before the end of the year. He doesn’t want to wait for Super Bowl weekend, which White had initially speculated might be good timing for the two to lock horns again. White then shifted gears and told the LA Times that he was considering the rematch for UFC 168 on Dec. 28, and pushing that event’s main event between Ronda Rousey and Miesha Tate back to Super Bowl weekend. Silva’s camp, however, was unavailable for comment at the time of publication, but it wouldn’t be surprising that Silva – after having the longest championship reign in UFC middleweight history come to an end – would want to redeem himself as soon as possible.